Why Does My Horse Toss its Head During Riding? Is your horse tossing its head while you ride? Head tossing can range from annoying bobbing to dangerous head throwing and shaking. You can be injured if the horse throws its head back far enough and hits your face or head. This is why an approved helmet with a brim is always a good idea. As your horse is throwing its head, it's not looking where it's going, and you will have poor control. 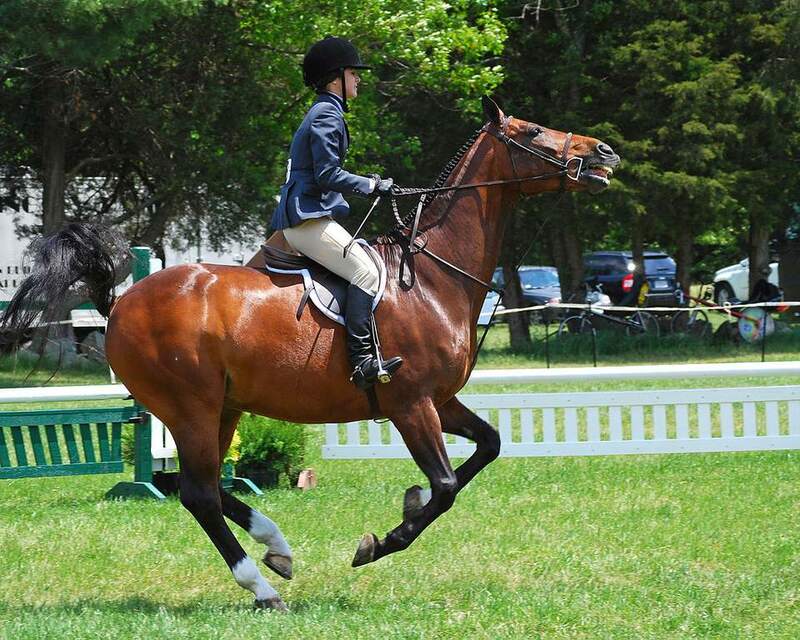 In the show ring, you’ll be passed over by the judge if your horse is tossing its head in many performance classes like equitation and pleasure. Often a horse's teeth wear unevenly and can form uncomfortable hooks and edges that cause the horse to scrape his cheeks or tongue while he chews. Dental problems like this can make holding a bit very uncomfortable. Some horses need their teeth checked as frequently as every six months. Most horses will need their teeth checked and floated at least once a year. This is the first thing to look at when trying to solve head shaking or tossing problems. Extra teeth that grow in front of the chewing teeth can also cause problems. Your vet can advise you on how to deal with this. Check to see that the bit fits comfortably in the horse's mouth. Is it too narrow and pinching, too thick or too much of a mouthful? Is the curb strap too loose allowing a curb bit to rotate too far in the horse's mouth? Is it too high and tight against the horse’s gums or lips or too low and clanking on its front teeth? Is the bit too harsh, have harsh edges or rust and the horse is trying to avoid it? Some horses might object to the taste of certain metals or the weight or shape of a bit. Try different bits to see if there is one your horse accepts without the head tossing. Some horses toss their heads because they get frantic about biting insects around their ears. This can be a big problem on trail rides with a horse trying to rid itself of annoying bugs. Consider using ear covers and insect repellent. Some horses go absolutely loopy about biting bugs, so try to ride when the bugs are sleepiest or ride indoors. For some people, the head shaking problem might not go away completely until the fall when the bugs are gone. An improperly fitted saddle that is pinching your horses back can cause a number of unwanted behaviors, including head tossing. Saddle fit is a very common reason for "bad" behavior. Checking your saddle and how it fits your horse since both your saddle and your horse's back can change over time. Often horses toss their heads in response to the rider mishandling the reins. The first thing a rider needs to learn is how to have light, sympathetic hands that follow the movement of the horse, while still maintaining enough contact to control the horse. This is probably the most common reason for head tossing, and the solution is to take a few lessons with an instructor who can help the rider learn to have a soft, dynamic connection with the horse's mouth. Heavy hands in conjunction with a harsh bit can cause some horses to throw their heads violently. Some horses may have to be re-schooled so they trust the rider not to hurt their mouths. If you are tempted to 'solve' the problem by using a harsher bit, tie down, or martingale consider the possibility that you might only mask the problem and not solve it. Always view any unwanted behavior as your horse reacting to what you (or someone before you) has done to it. When a horse tosses its head, it is trying to tell you something. This is how it is talking to you. It's always more important to be a 'horse listener' than a 'horse whisperer'.